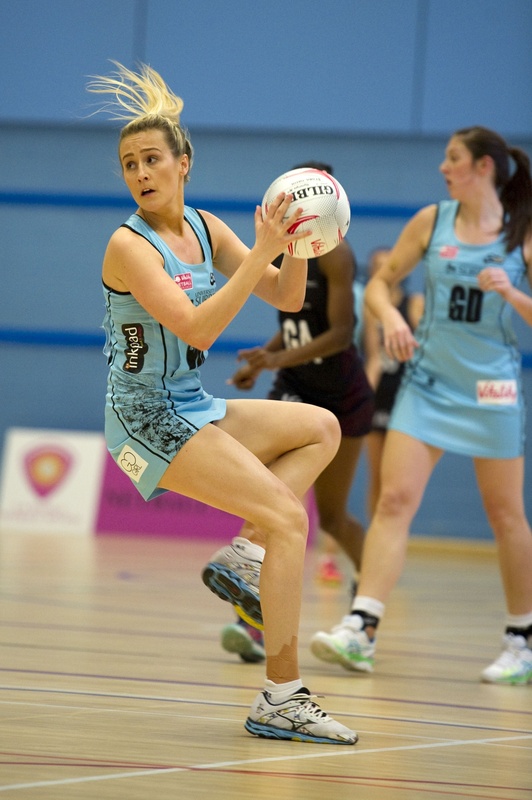 We have asked Georgia Lees from Surrey Storm the super league reigning champions a few questions about the up and coming super league..
Are you excited for the 2017 Super league to begin? And which part of the season will you be most looking forward to? Yes definitely. I think I'm most looking forward to see the new teams and the potential player movements that the introduction of these teams may encourage. Do you think the expansion of the netball super league will provide more coverage/attention to netball as a whole? Yes I do, I think it's great that the introduction of these new teams puts netball into communities which were previously deprived of a netball franchise. It's only a good thing in terms of the development of young players and expanding the talent pool for England netball. And of course the great coverage the netball Super league had from Sky Sports last year we hope that will continue next season. How does your team try to encourage young aspiring netball-ers to take up the sport? I think Surrey Storm are always looking to develop young talent. We host a lot of half term Netball camps for young aspiring players to attend and have a really good relationship with the local community. In terms of filtering young players through to Super league from the NPL team, Storm do a great job of that too. In the past few years we have had a lot of players enter into the senior team after a few seasons playing for the youth side, myself being one of them. To have a franchise which is willing to offer these opportunities to young players is great for talent development. If you have any advice to aspiring netball Super league players? What would this be? Train hard but you have to enjoy it. There will be times you get frustrated and that is perfectly okay, but it takes so much time and training to play at the top level it's really important you don't lose track of the reason you started playing in the first place...... Because you enjoyed it. How does your team as a whole prepare for an event as big as the Super league? Preseason at storm is always good. We get a lot of commitment from our players to train as a squad twice a week. We are also lucky to get to play in preseason warm up fixtures, where we get to try out some of the stuff we have been practicing before the season gets going. Are there any specific alterations you have to make to your preparations for the Super league? The training focus definitely changes during the season. We move into far more tactical aspects of the game as opposed to having a skill and fitness focus which is the case in preseason. How does your training schedule change prior to the Super league? Training load doesn't really change during the season; however, I may swap a conditioning session in for another technical session, especially if there's something I really need/want to improve for a specific game. What are your aims for this year's Super league? Seeing as you're the reigning champions. Personally, last season I got a really good amount of court time and I was really grateful for that. I learnt so much from my experience on court last season and I suppose I want to take all what I learnt into this season and really establish myself as a wing attack. In terms of the team, the focus is always to win the Championships and we'll definitely be going for 3 back to back wins. If you could have any netball training aid, what would it be? I really enjoy using the crazy catches to help with my ball handling skills, which is somethings I'm always looking to improve. Photo credit below: Steve Porter.